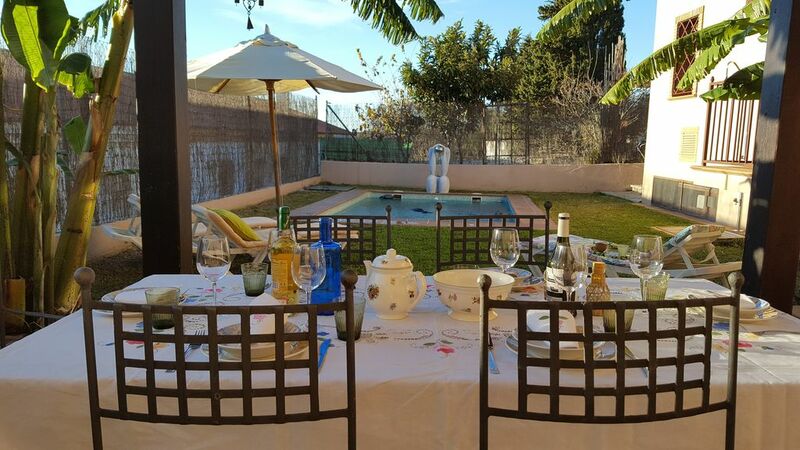 Fantastico chalet 15 minutes from Jerez de la Frontera, 15 minutes from the airport and 30 minutes from the beach of Puerto de Santa Maria. Beautiful, cozy and fully equipped to spend unforgettable days in family, couple or friends. All amenities and entertainment (air conditioning, fireplace, jacuzzi, barbecue, garden with swimming pool, game room with billiards, PS3, TV plasma 50 ", piped music, WiFi and more) in a place where you can spend an unforgettable holiday and eager to repeat. Up to 6 people.